Dental implants are a permanent alternative to bridgework or dentures to replace missing teeth. They provide a replacement artificial root to anchor and support restorations such as crowns, partial dentures, or fixed bridges. Mini-implants are a special, narrow style of implant designed to support small replacement teeth such as incisors or to support a denture or other prosthetic. 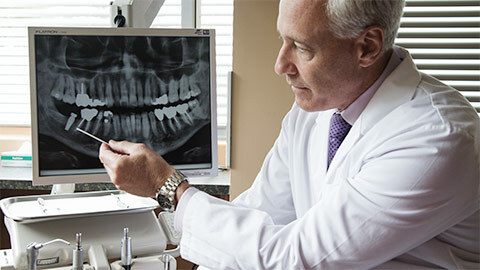 We offer mini-implant consultation and placement. All dental implants consist of a screw-like body that is surgically placed into the bone tissue of your jaw. The implant is held firmly in place by your bone. 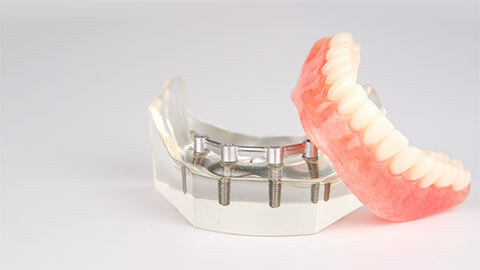 Once the implant is placed and healed, we attach the crown, bridge, or denture to the implant. Because they replace the lost root of your tooth, implants can also provide long-term support for your bone tissue by preventing bone loss and breakdown that might occur if the root socket was empty. If you are missing a tooth or teeth, and would like to know more about mini-implants, contact our office.